Hello and welcome to another post from Under Blue Skies – Today. In keeping with the theme of the month we are going to look at how you can turn your life around. Recently I have been working towards creating a clearer and (slightly) more organised life for myself. Doing that has meant a sizeable chunk of soul searching and looking at myself from the outside. This post is about the results of one particular exercise that I carried out recently. Some self care give-away tips. Welcome to Under Blue Skies I hope that you are enjoying these posts and that you are taking something useful away with you after reading each one. So this week I thought that I would give you a few tips that can be placed into your personal self care toolkit. They are, for the most part, very simple common sense things. Thank you for joining me here at Under Blue Skies and today I would like to explore several ways that you can clear your life. It is true that if you keep putting things off you run the risk of stagnating and this holds within it the potential to become a major problem. Self esteem is the relationship that you have with yourself, you might say it is the way that you talk to yourself behind closed doors, where no-one can hear you. How do you talk to yourself? Are you kind to yourself? Do you talk to yourself respectfully? So let us look a little more deeply at some of the rubbish that we allow ourselves to say internally. You tell yourself how you “should”, “must”, or “ought” to feel and behave. However, this is NOT how you actually feel or behave. The result is that you are constantly anxious and disappointed with yourself and/or with others around you. In this scenario we always imagine that the worst possible thing is about to happen, and predict that we will not be able to cope with the outcome. However, the imagined worst-case scenario usually never happens and even if it did, we are often able to cope with it. This is when we only pay attention to the bad things that happen and ignore all the good things we are filtering information. This prevents us from looking objectively at all the aspects of a situation and drawing a more balanced conclusion. This is when we believe that something which is unlikely to happen is actually right around the corner. It is easy to see how this type of thinking can maintain our anxiety. For example, how can you not feel scared if you think that you could have a heart attack any time? Sometimes we talk to ourselves in mean ways and use a single negative word to describe ourselves. This kind of thinking is both unhelpful and unfair. We are too complex to be summed up in a single word! This is when we use words like “always” or “never” to describe situations or events. This type of thinking is not helpful because it does not take all situations or events into account. For example, sometimes we make mistakes, but we don’t always make mistakes. Sometimes when we believe that we know what others are thinking we assume that they are thinking the worst of us. The truth is that no-one can read minds, so we do not really know what other people are thinking! I have personally got a number of clients to whom this type of thinking applies. This happens when we predict that things will turn out badly. But, in reality, we cannot predict the future! If the answer is absolutely not! Then why would you speak to yourself that way. Feeling hurt or upset does not mean that you are bad. Feeling uncomfortable does not imply that there is something wrong with you! Please recognize that accepting and managing certain feelings can be difficult, especially when we don’t know how to do it. Building our self-esteem by changing how we treat ourselves can be challenging. So if you feel that the tips mentioned here are not enough to help you build your self esteem on your own, or you would like to see positive results faster, consider working with a specialist coach or counsellor. I am a coach; speaker; radio presenter; therapist and co-owner of The Crystal Spring – a virtual light centre. My therapy work includes music therapy; crystal therapy and Reiki (qualified Master / Teacher). In addition I am currently studying towards a Practitioner /Master’s qualification in Mindfulness. If you have found this post interesting please spread the word about the blog to your friends and family and I look forward to welcoming them along as well. To subscribe to this blog please go over to the right hand side of the page and click the button that says “Follow” and you will be added to our list of subscribers. 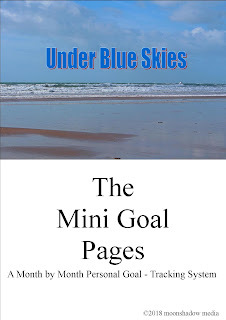 The electronic version of my Under Blue Skies Workbook costs just £7.50 and is available to download. A print version is also available at £13.99 + shipping. 3 If the electronic version is required then please follow the download link I will send you . This is free to download pdf file that is a “no cost” supplement to the workbook. To get your copy all you need to do is follow this link to download the file to your computer. 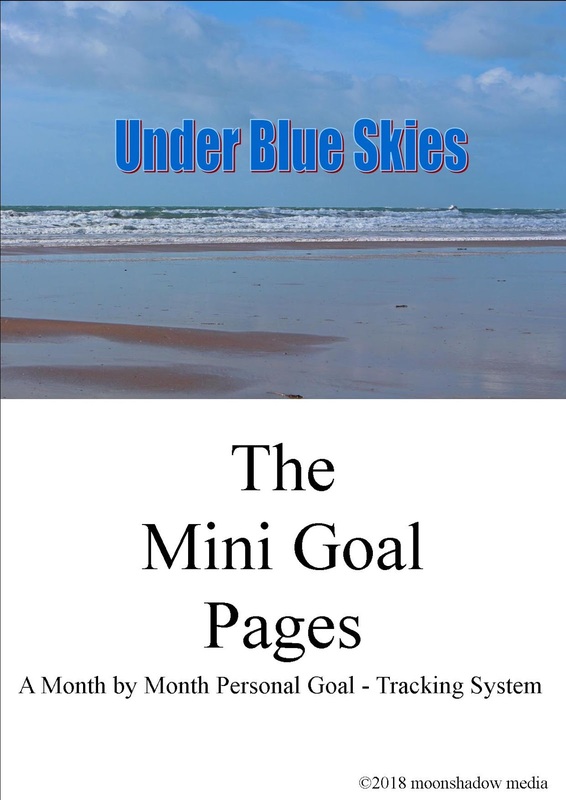 You can then print the current month’s page and begin working with it immediately.